Tags: Kraft, save the date, Tie the Knot range. 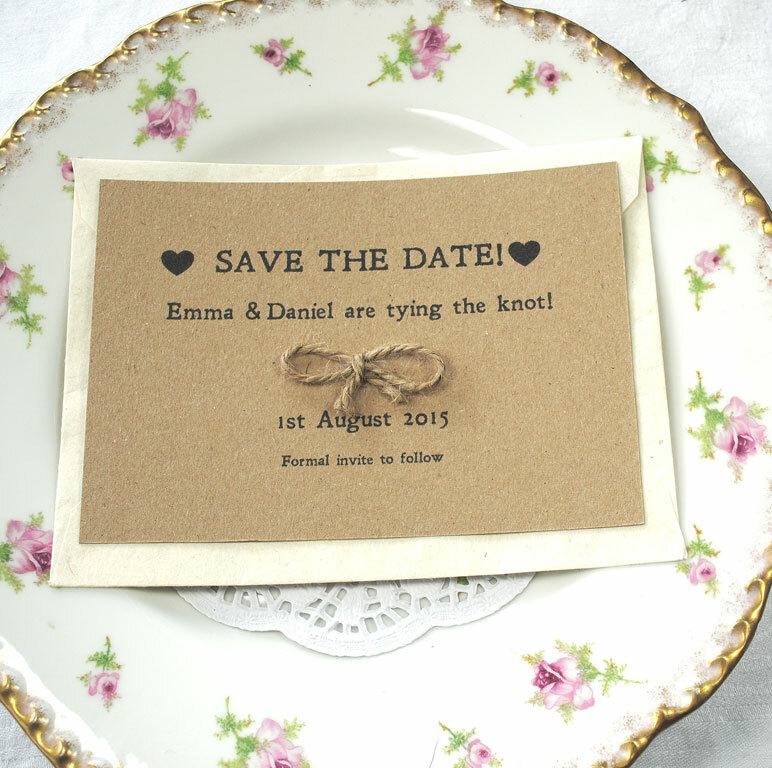 These Tie the Knot recycled Save the Date cards are the perfect notification for any wedding theme you have planned! 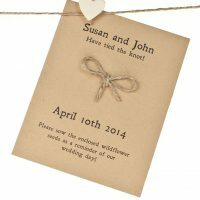 Made from recycled Kraft card, it is A6 in size and comes with a recycled envelope (colour will be ivory, manilla, pale grey or white – depending on what is available in stock when you order). The handmade jute knot finishes it off nicely. 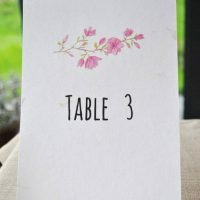 Please advise your personalisation details in the box above. 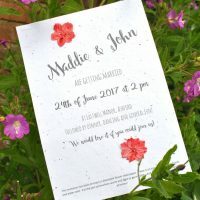 We do matching invite sets for this design and can also create any other stationery you need to match, such as table plan tags, order of service etc – please email us with your requirements.